RTO is the time it takes after a disruption to restore a business process to its service level. RPO is the acceptable amount of data loss measured in time before the disaster occurs. Backup and Restore – storing backup data on S3 and recover data quickly and reliably. 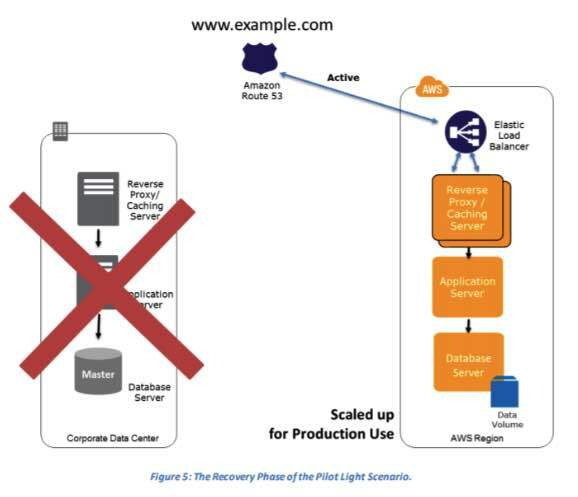 Pilot Light for Quick Recovery into AWS – quicker recovery time than backup and restore because core pieces of the system are already running and are continually kept up to date. 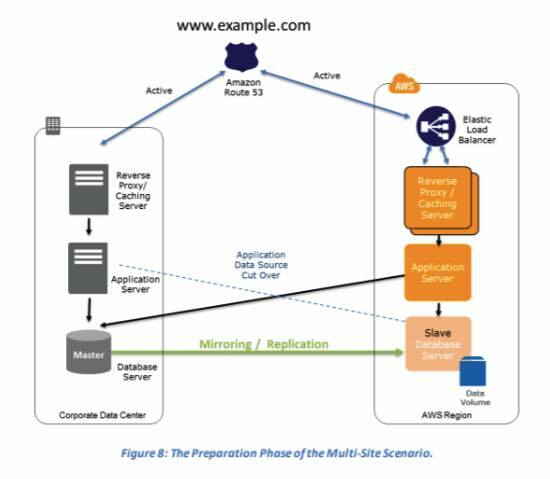 Multi-Site Solution – run your infrastructure on another site, in an active-active configuration. 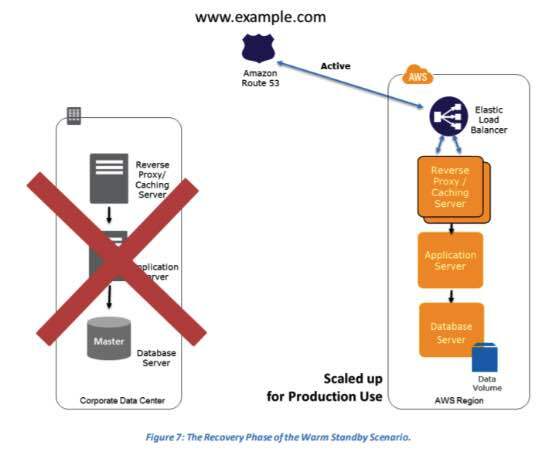 S3 as a destination for backup data that might be needed quickly to perform a restore. 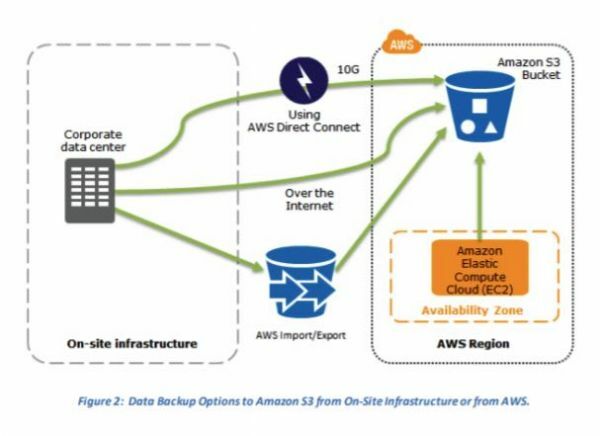 Import/Export for transferring very large data sets by shipping storage devices directly to AWS. Glacier for longer-term data storage where retrieval times of several hours are adequate. Storage Gateway copies snapshots of your on-premises data volumes to S3 for backup. You can create local volumes or EBS volumes from these snapshots. 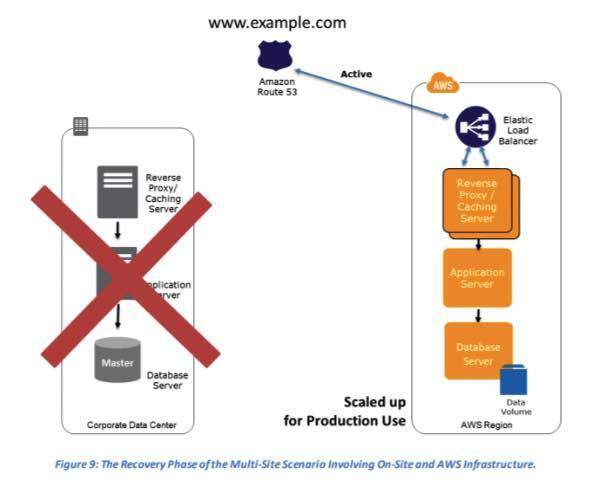 Preconfigured servers bundled as Amazon Machine Images (AMIs). 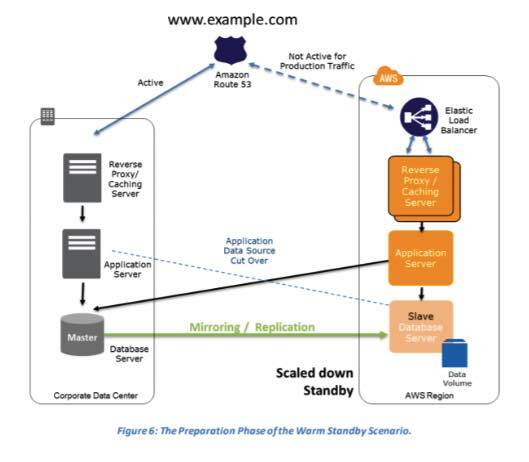 Elastic Load Balancing (ELB) for distributing traffic to multiple instances. Route 53 for routing production traffic to different sites that deliver the same application or service. Elastic IP address for static IP addresses. Virtual Private Cloud (Amazon VPC) for provisioning a private, isolated section of the AWS cloud. Direct Connect for a dedicated network connection from your premises to AWS. Relational Database Service (RDS) for scale of a relational database in the cloud. DynamoDB for a fully managed NoSQL database service to store and retrieve any amount of data and serve any level of request traffic. 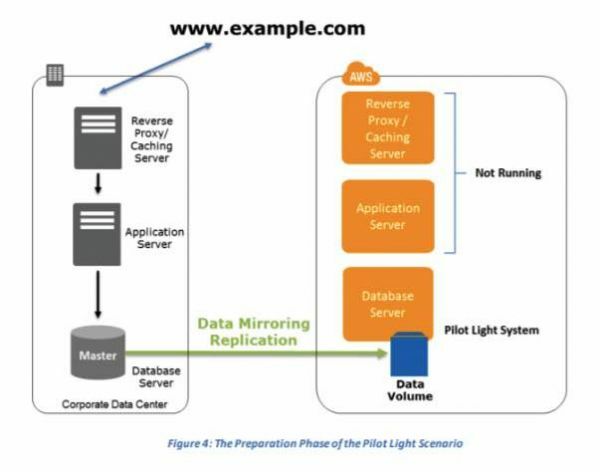 Redshift for a petabyte-scale data warehouse service that analyzes all your data using existing business intelligence tools. 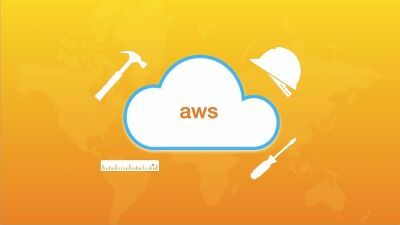 CloudFormation for creating a collection of related AWS resources and provision them in an orderly and predictable fashion. Elastic Beanstalk is a service for deploying and scaling web applications and services developed. OpsWorks is an application management service for deploying and operating applications of all types and sizes.